Singles 2 Meet is a free dating site, so that means there are no subscriptions to sign up for. The site offers you a free platform to meet other single people. It is a “no frills” site that provides you with a basic platform for meeting single people. The sign up process is fairly straight forward and you have control over your profile visibility, so profile privacy is not an issue. There are no video or instant messaging facilities but you are able to send and receive messages in an inbox. By providing your rough location (suburb, area) the site tries to match you up with other singles in the area. As far as South African dating sites go, this site does the job. SouthAfricanCupid.com provides the user the opportunity to meet up with locals. The site is aimed at finding you a date as it provides the user the opportunity to type very specific attributes that they might be looking for in a potential partner. There is a cost involved but there are a range of subscriptions to choose from. It does provide for video uploads and instant messaging facilities. The site has strict privacy policies but it is not that user friendly and it is tiresome when you are constantly plagued to upgrade. When looking at other dating sites in South Africa this one has room to improve. 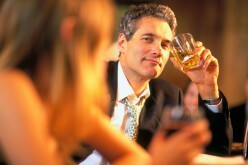 JustSingleParents.com online dating is a site dedicated to bring busy singles parents together. Being a single parent is not easy; trying to meet potential love interests is even more difficult. The site aims to match you up in as quick a time as possible. The site is free to join, but to perform any other actions like instant message someone you have to pay a subscription. The site does provide customer support. Communication within the site is pretty straight forward; it does have video upload and instant messaging facilities and the added bonus of a message board. The site is strictly monitored, which ensures protection of your privacy. It is a good site as far as South Africa dating sites go but with limitations, you do feel like you have no option but to pay for membership if you actually want to do something in the site. JustBlackSingles.com. This site is dedicated to bringing black singles together. Setting up your profile is quite easy, by providing the user with an opportunity to fill in a comprehensive profile form. Like the JustSingleParents.com site, this site uses the “Encounters” method of matching and it is free to join, to enjoy other features on the site you would need to pay a fee. There are video and instant messaging facilities within the site. The privacy of the user is highly protected. If you are looking for a particular type of online dating site in South Africa and are looking to narrow down your search, this site provides you with a good platform to do so. JustDivorcedSingles.com is a site that is suited only to divorced singles looking for love. This site provides the user with an even “playing field”, because the site is limited to divorce singles, there is no need for the user to feel shy about their divorced status. As with most dating sites it is free to join but the user would have to pay a subscription if they wanted to further access all the features on the site. It is fairly easy to setup a profile. There are video and instant messaging facilities available to users paying a monthly fee. The privacy of the user is highly protected. If you suit this particular profile, as far as South Africa dating sites are concerned, this site is very highly recommended. FlirtNaughty.com is a site for people who are looking for a bit of fun rather than their life partner. If you are new to online dating in South Africa, and you are on the cautious side, then this site is not suitable for you. The cost of this site is free if you are female. There are video upload and instant messaging facilities but if you are Male you will have to pay a subscription to use these features. The site is quite user friendly and easy to get around. Warning, this site does not hold back when it comes to sexual expression it is a bit on the wild side, serving all kinds of tastes. It provides an outlet to those who prefer not to date on the mainstream online dating sites. Love2Meet.com is a site that provides an opportunity for any single to search for a long term partner or just to meet a friend. Another site that allows you to sign up for free but to avail of any worthwhile features you need to purchase full membership. The site itself is very easy to navigate and the sign up process is simple. There are video and instant messaging facilities but again you would need to pay to use these services. Privacy of the user is highly protected. This site does not dedicate itself to a specific category, which makes it accessible for anybody looking to try online dating in South Africa. AfroIntroductions.com is a site that is aimed at not just black singles but more at promoting interaction among African people. The site is not that easy to use; it feels like there is too much going on, on the page, but the sign up is a very simple process. There is no video upload facilities available but there is instant messaging but only if you upgrade your account for a monthly fee. The user has control over the privacy of their profile. This site will meet the demands of someone looking to try South African dating sites. LetsMeet uses a member’s license plate number (with members permission of course) to inform any prospective love matches that you are driving in the area. There are no video and instant messaging facilities. The user will set their own privacy restrictions and they have the option of “banning” any potential threats. This site is easy to use and will appeal to most using South African online dating services. SouthAfricanSoulMates site, is exactly as the name implies, it encourages more long term love as opposed to quick encounters. It is geared towards the individual who is looking for relationships. 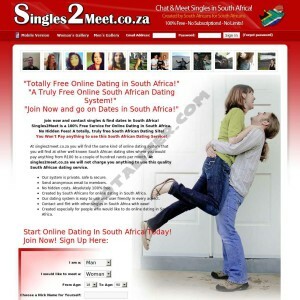 It is one of the more costly South African dating sites to join. It is relatively easily to sign up and navigate. There are video and instant messaging facilities available to site members. Because this site is geared towards people who are genuinely interested in finding a long term partner, it might not be the site to experiment with online dating. 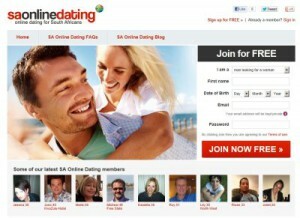 DatingBuzz.co.za provides the user with a simple platform for online dating. It is quite costly, considering what you getting is basically the same as other South African dating sites. There are no video upload facilities but there is instant messaging. Privacy is controlled by the user and unwanted interests can be blocked from your profile. This site gives you what you need in terms of online dating. DatingSA.com provides a platform for singles that are looking for South African singles only. It is easy to navigate and simple to use. This site broadly caters for all types of “daters”, if you looking for something casual and light or seriously looking for a match, the user has to set their preference. The site allows you basic access for simply signing up but if you are looking to interact then you will have to pay for other services offered. Privacy is top quality, again allowing the user to block any potential threats. There are no video upload facilities but there is instant messaging. This site provides exactly what it sets out to do but it will cost you. DateCorner is one of the few free South African dating sites which means it offers the basic services like upload your photo, select what you are looking for but that’s about it. There are no video upload and instant messaging facilities but for what you are getting for free as far as an online dating platform goes, it does the job. There are lots of irritating adverts that pop up but because it’s free you have to expect this. DateCorner is linked to the Singles2Meet site, so it’s a bonus if you sign up for one you get the other too. Privacy is not the greatest but again the user has the control of blocking or reporting any abuse on the site. EliteSADating.co.za is a serious online dating site. It is aimed at attracting those who are professionals and whom are serious about dating. As the name implies, the cost involved in becoming a member is quite high so you have to be sure that you want to do it. They have video upload and chatting facilities, along with instant messaging. There are certain features of the site that you will not be able to use unless you upgrade your membership. Privacy features are excellent and they have also provided other quirky features to keep the members interested. On the whole it is a good site but you paying extra for a site with the name of Elite, where you could be getting similar services from other South African dating sites. SAReunitedBlackSingles is a site catering exclusively to black singles only. The signup process is quite simple but after that the process becomes quite tedious, if you want to move on from using basic features you have to upgrade and pay, this can get quite costly. Privacy features are excellent and the site is very secure. There are no video upload facilities but there is instant messaging. 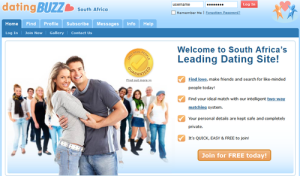 Overall the site offers the user exactly what they require which makes it a good choice for South African Dating Sites. Flirt.co.za is a free site that sounds like it should be aimed at light-hearted fun, but it is anything but that. The site is extremely confusing and offers very little security in terms of members and scammers. This site seems to encourage fake profiles and as I said offers little much in terms of security. There are no video upload facilities but there is instant messaging and chat rooms. This site should come with a warning “Use at Your Own Risk”. It is definitely one to avoid out of all the online dating sites in South Africa. SAOnlineDating is a site that caters for all types of daters. The layout of the site is pretty good which makes the sign process up easy, but once you have a basic profile or other features (most of the site) is not available to you unless you pay to upgrade your membership. The site is very secure, with privacy being a top priority. There are video upload and instant messaging facilities but these features are only “unlocked” once you have paid for them. Overall, this is a solid choice for online dating in South Africa. The prospect of online dating is extremely daunting, these above reviews should be able to help any singles out there to make an informed decision when it comes to selecting the right South African Dating Sites. 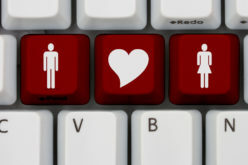 For further information about online dating, please see our complete Guide To Online Dating. 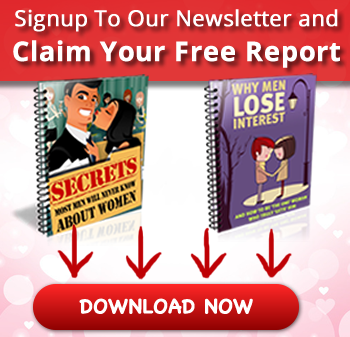 This comprehensive guide will provide any prospective online dater with all the information they will need to be successful.